Are you measuring your patio and wondering if one of our custom pergola kits will be the right pergola for your space? Not sure what size or style pergola kit to order? Do you have special requirements for your pergola project? Submit a custom quote request now using the form below, and we’ll get back to you within 24 hours with your quote or will gather more information needed to complete your request. 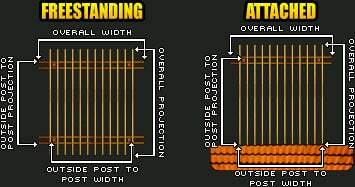 (Rafter and Beam Dimensions Tip to Tip): You must account for 1'6" minimum overhang past the posts on all sides. For even feet type in like this: 13' For feet and inches type in like this: 13' 5" For feet and inch increments type in like this: 13' 5-1/2"
For even feet type in like this: 30' For feet and inches type in like this: 30' 5" For feet and inch increments type in like this: 30' 5-1/2"
Do you need help determining what size pergola you need? Any Special Requests or Need Help with Measurements? You can order a custom pergola in sizes not listed in our standard size pergolas. Read our Pergola Styles Comparison to help you choose the style and size. This comparison shows custom pergola kits as well as standard size pergola kits. If one of our standard pergola kits doesn’t work for you, simply complete this custom quote form to request the style, size and configuration you need. If at any point you need help, drop us a line by email or phone, we’re always happy to help! Our standard size pergola kits come in multiple styles and over 90 sizes from 8×8 up to 20×20 in freestanding or attached. All kits are made using either western red rough sawn tight knot cedar or pressure treated #1 southern yellow pine lumber and arrive at your location ready to install; pre-cut, pre-drilled with stainless steel hardware and step by step instructions. Base prices range from $595 up to $7,990 for standard size kits. To configure and price a standard size kit, choose from our 5 different styles(Big Kahuna, Sombrero, Fedora, Brim, or Visor), and then make your selections for Freestanding or Attached, Wood Type, Size, Posts, End Shape, and Post Base Trim. Ease of installation. Our pergola kits have been engineered in a way that will have you eating dinner under it on the same day that you start the install in most cases. Price. We offer the most reasonably priced pergola kits available online, or through most contractors. Free and quick shipping. Shipping is 100% free anywhere in the lower 48 states and we will get your new custom pergola shipped out within 12 business days! Quality. All of our pergolas are made with either #1 Grade Pressure Treated Pine, or Rough Sawn Cedar, and come standard with all stainless steel hardware. Ease of ordering. Choose your options, add to your cart, checkout, and you’re done! World class customer service. If for any reason you need to contact us, there is always someone available either by phone or email. 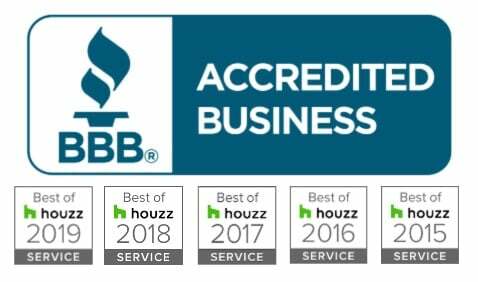 We are experts at what we do and can answer any questions you may have. Credibility. We have been featured on multiple national TV shows on the DIY Network, HGTV, and sold thousands of pergolas all across the US. Proven track record. We have been selling pergola kits online now for more than ten years, and have received tons of great feedback.